Ben graduated with a Masters of Physiotherapy from the University of Canberra in 2013 and has been in private practice ever since. Prior to this Ben had completed a Bachelor in Exercise and Sport Science through the University of Western Sydney in 2009. Ben is also currently studying his Masters in Sports Physiotherapy through the University of Queensland. Over the past couple of years Ben has been involved with a number of sporting teams including Ainslie and Eastlake NEAFL teams, ACT State and National Oztag Representative teams and ACT Brumbies Schoolboys. 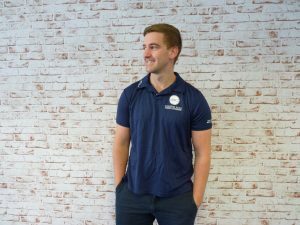 Ben has a passion for all types of physiotherapy including musculoskeletal and sports physiotherapy, work health and safety, chronic disease management and pre and post surgical rehabilitation.